This trim-to-fit Laptop Skin comes in a standard size of 15" x 10.5" and has to be trimmed manually to fit your laptop. 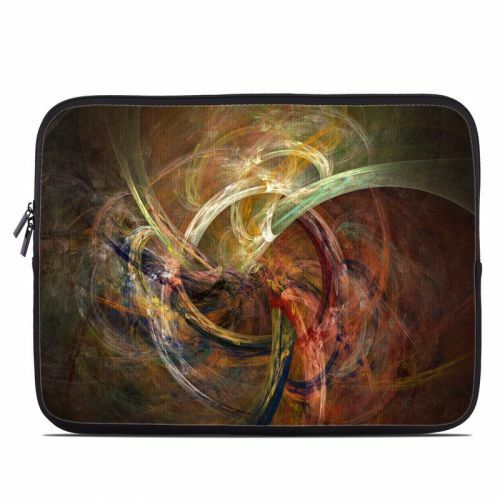 It is large enough to fit most laptops and it gives you the flexibility to be creative with the coverage. The maximum size for this "Custom Sized" Skin is 16" (width) x 13" (depth). Please note that "Custom Sized" Skins are custom work and cannot be returned. Style another device with "Blagora"
Skins provide low profile protection with no bulk and protects your Laptop from scratches. The unique weaved adhesive allows for fast, easy and accurate application, and goo-free removal. Make your Laptop uniquely yours. 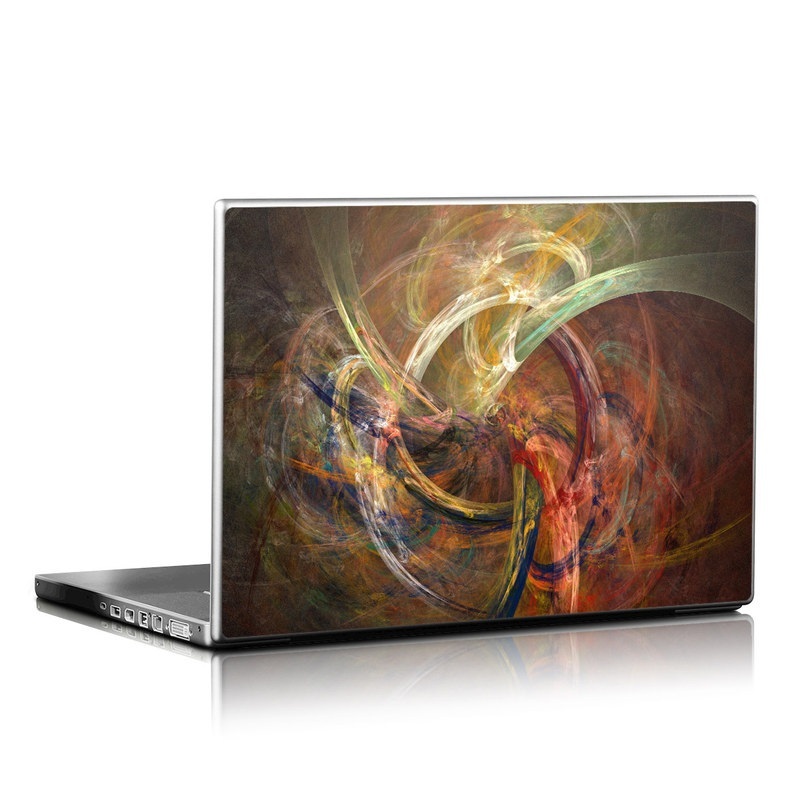 iStyles Laptop Skin design of Fractal art, Art, Painting, Visual arts, Modern art, Graphics, Artwork, Stock photography, Circle, Space with brown, red, yellow, orange, green colors. Model LS-BLAGORA. Cases are available for other electronics but it is important never to enclose a Laptop in a case. Computing devices can become hot and they need to dissipate heat during operation. If the Laptop is enclosed in a case, the device will not be able to "breath" as well, resulting in higher operating temperatures that can cause reduced performance and shorten electronics lifespan. We recommend using a Skin for styling and scratch protection - when you need to transport the Laptop, put it in a padded sleeve or bag. Added Blagora Laptop Skin to your shopping cart. View your Shopping Cart or Style Another Device with "Blagora"